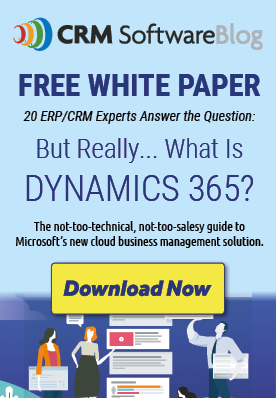 The flexibility of a CRM solution such as Microsoft Dynamics 365 allows you to turn it into the heart of your organization’s operations. You can then use it as the entryway from which all your activities can be completed. It can also integrate a solution specifically designed for your industry, allowing you to complete all your tasks from a single interface that’s intuitive, familiar and user-friendly. With a solution that incorporates their specific business rules and needs, professional services firms can overcome several of the challenges they encounter daily. One of the challenges that many professional services firms must face is the utilization of non-integrated applications and Excel spreadsheets. Result: resources don’t always have access to the latest information or the most recent version of a document, which can lead to discrepancies regarding facts or activity status. By centralizing all your information with a specific solution integrated to your CRM system, not only do you ensure access for resources across your entire organization, you also offer them complete visibility on all aspects of your business. As such, your mandates, invoices and WIPs, as well as customer activities and all communications exchanged with them, can be accessed from a single source updated in real time. The associates have increased visibility on their mandates and their clients, as well as on their complete history and profitability. By having all this data on hand, they can also better serve their clients, exceed their expectations and ensure their satisfaction. Maintain the balance between finances and operations by leveraging the flexibility of your CRM system and the control of your ERP solution. With a complete, bidirectional integration, information is transferred from one system to the other in real time. This not only avoids constant back-and-forth communications between your associates and the accounting team, but it also eliminates manual data entry and reduces the risk of errors and double entries. Various invoice templates can be used and combined from the CRM, then transferred to the accounting system. This allows you to create invoices that meet all your clients’ criteria and that fit the requirements of the different services offered by your organization, while also adapting them to your organization’s branding. Lastly, having access to your financial data in real time means that you can invoice faster. This way, you improve your cash flow while also reducing the risk of write-offs and bad debts. By using workflows to automate certain process, you can facilitate your associates’ tasks and activities. For example, they can be notified to approve the budget when a new mandate is created. Among the specific functionalities of our solution, a resource planning tool also makes it possible to view easily the resources that are currently assigned and those that are available to work on new mandates. This tool thus makes it possible to optimize resource utilization and better plan hiring. Lastly, the solution allows you to budget the potential for billable hours per resource per month and to track them throughout the year. One last challenge that many professional services firms must face is the difficulty of staying on top of technological trends to meet the constantly evolving needs of their clients. Scalable and flexible, the Microsoft Dynamics 365 platform makes it possible to catch up on this technological lag, while a specific solution such as JOVACO’s accounting solution improves efficiency and performance across your entire organization.